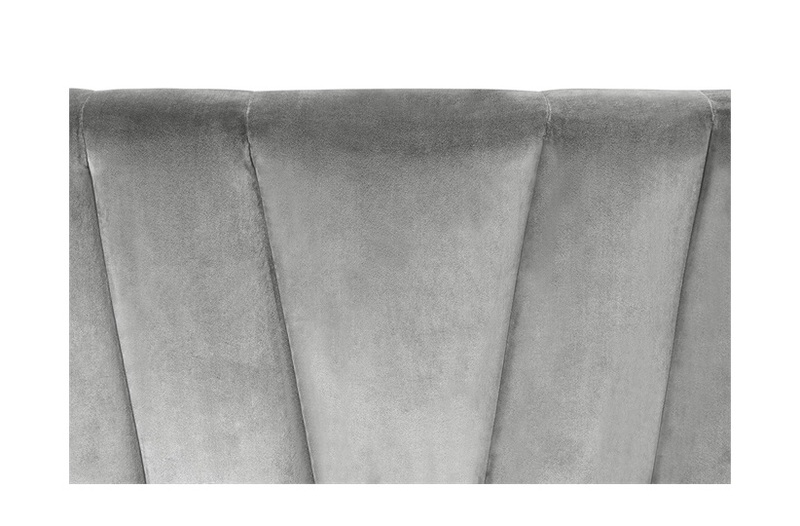 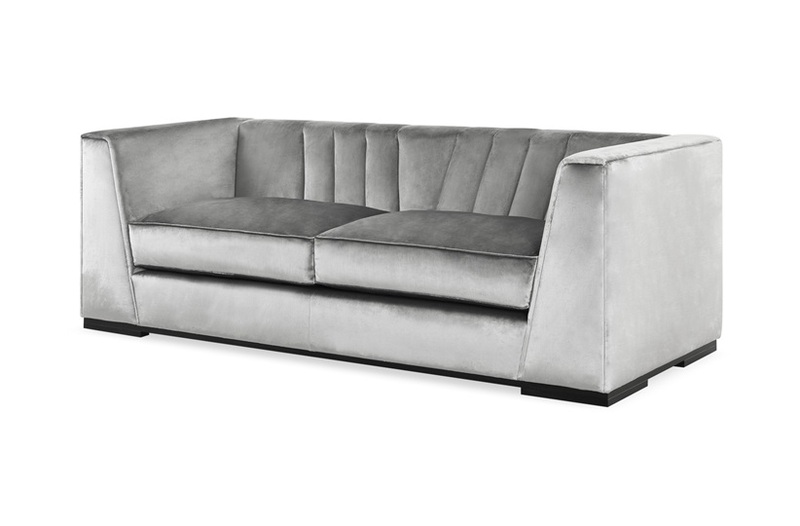 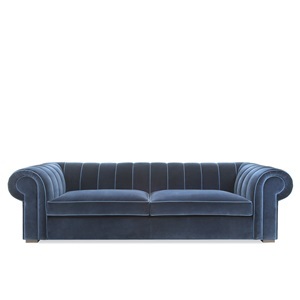 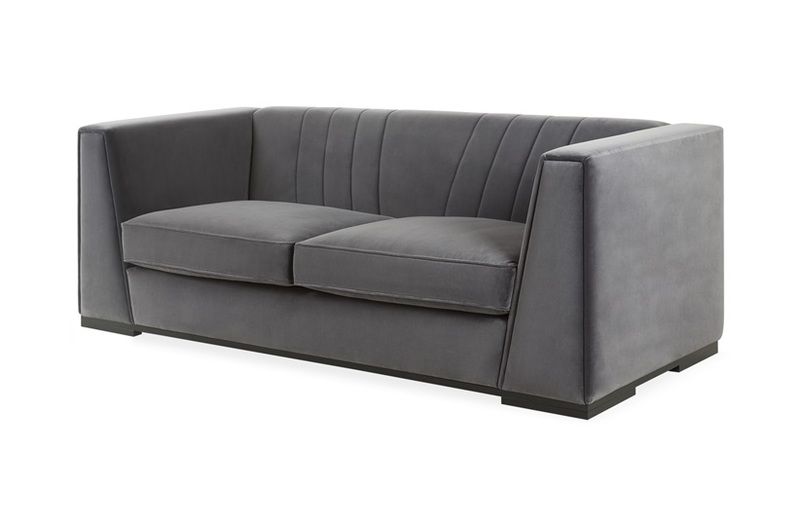 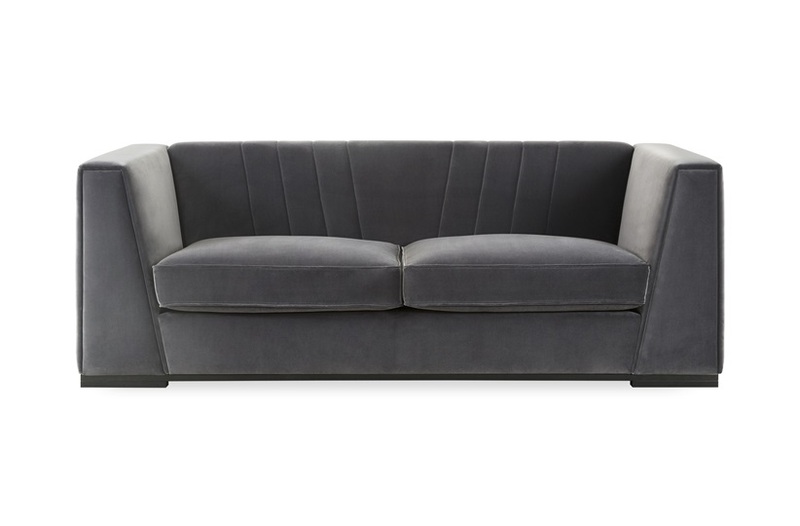 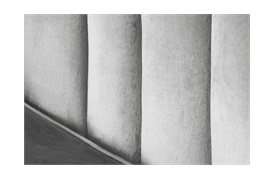 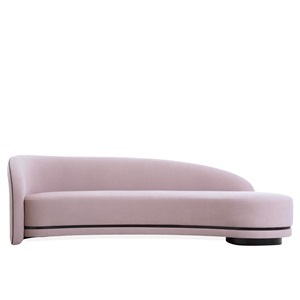 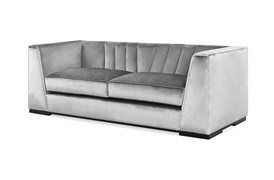 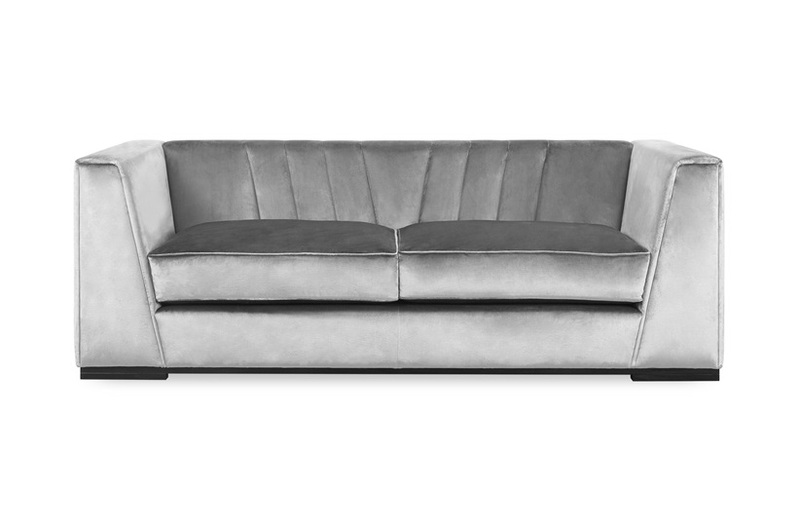 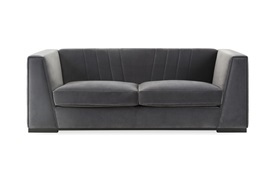 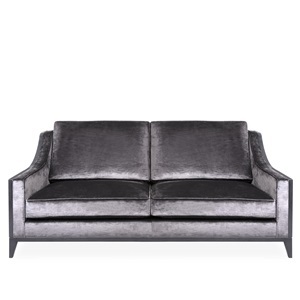 This striking sofa achieves modern glamour with its clean-lined aesthetic and unique chevron detailing. 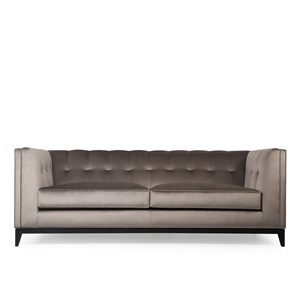 Its angular silhouette is elegantly elevated with a show wood plinth. 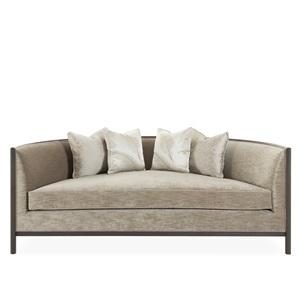 This piece incorporates both contemporary design and traditional charm, befitting a range of interior schemes.